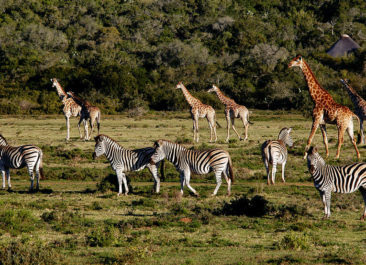 South Africa is a world class safari destination. It’s also the third most biodiverse country in the world. Every year, during the warmer months (October to February), you’ll find local and international tourists visiting the beautiful attractions of the country. This comes as no surprise, seeing as South Africa boasts sweeping views of vast landscapes, as well as diverse plants and wildlife. While summer may seem like the best time for a safari trip, the winter months has its perks, here’s why. es to visit South Africa. Some safari destinations are crowded all year round. But in South Africa, the crowds calm down after February as the days get colder – you’ll see less travellers. If you prefer having less people around you during your break away, off-peak season is therefore the best time. You’ll find that a winter safari cost less than were you to visit in peak season. Be sure to research for specials that offer longer stays at a lower cost during the winter season. It’s one thing to enjoy the warmth of the African sun, but the heat can reach unbearable highs. This could taint your experience, particularly if you’re not accustomed to such hot weather conditions. Hot summer days affect the wildlife too. Wild animals are active for shorter periods at dawn and dusk due to the hot weather conditions. This could mean less time for sightseeing during your game drive. However, during the cooler months you’ll have a greater chance of seeing wildlife as it allows for them to be active for longer periods. 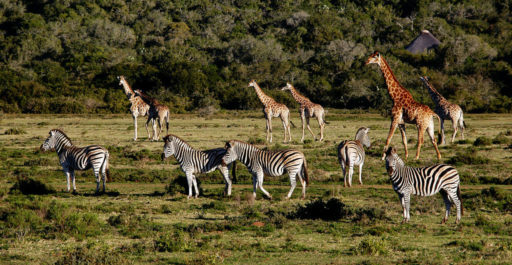 During the drier season, wildlife is known for congregating at water and food sources, which makes for a greater chance to spot wildlife during your game drive. Also, bushes are less dense during this season, making it easier to spot wildlife as well as predict their behaviour and movements, which makes it easier for guides to track them on a game drive. A winter safari season happens to be peak time for other experiences, such as shark cage diving, whale watching and more. When planning your winter safari trip in South Africa be sure to do some research on other winter activities happening in areas surrounding.